ii) Electrician/ Wireman trade certificate from ITI or a recognized institute or a higher qualification in Electrical Engineering. i) The Direct Recruitment to the above posts would be on the basis of their performance in a written test/ exam. 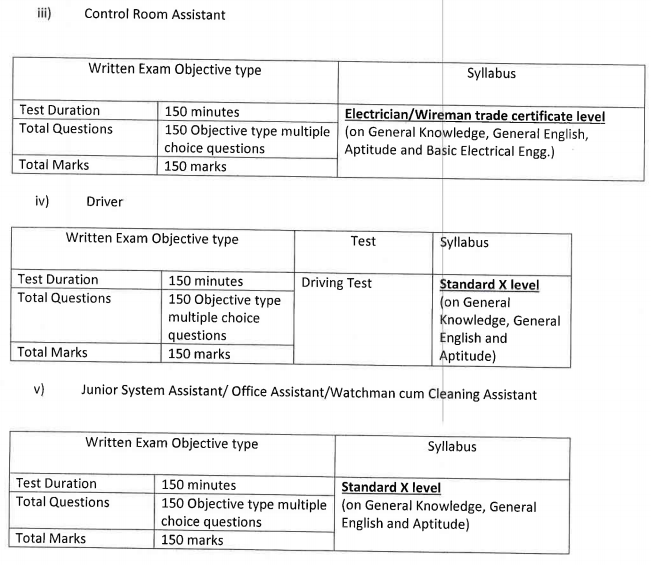 ii) There will be a combined written test/exam for Group D posts. v) The test would consist of 150 nos. of Multiple Choice Question to be answered in 150 minutes. 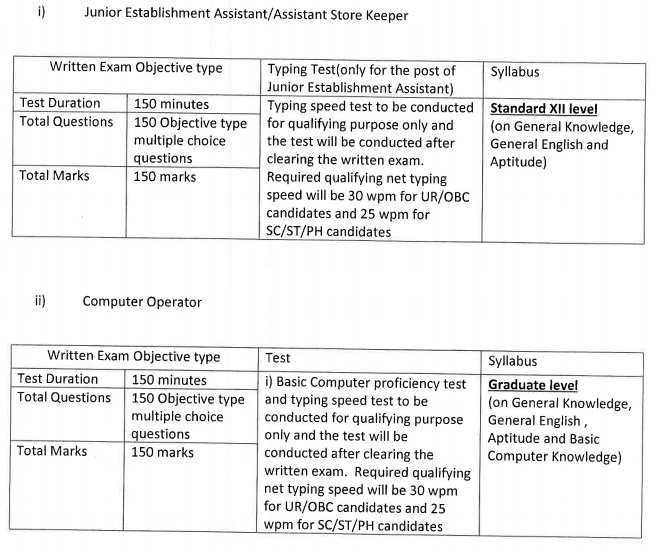 vi) There will be typing test, computer proficiency test and driving test for recruitment to the post of Junior Establishment Assistant, Computer Operator and Driver respectively” The test will be for qualifying purpose only. vii) The final merit list of the candidates would be based on the marks secured in the written exam. In case more than one candidate has the same total marks then, the candidate securing higher marks in the minimum educational qualification will be ranked higher. In case both the marks in the written exam and marks in the minimum educational qualification are same, the candidate older(in age) will be ranked higher. Duly sponsored candidates from the respective Employment Exchange may submit applications form in the prescribed format in sealed envelope superscribed with the name of the Group(Group c or Group D) for the post/s, notification No. and date should be submitted along with a nonrefundable payable examination fee in cash at Keishampat, Corporate Office Conrplex, lmphal during office hours. 1. Applicants applying for Group C posts should submit separate application for each category post for which separate written test/exam would be held as specified in above para 3(iii). Each application should accompany the requisite exam fee. 2. Applicants applying for Group D post should apply in one application form only along with the necessary examination fee.